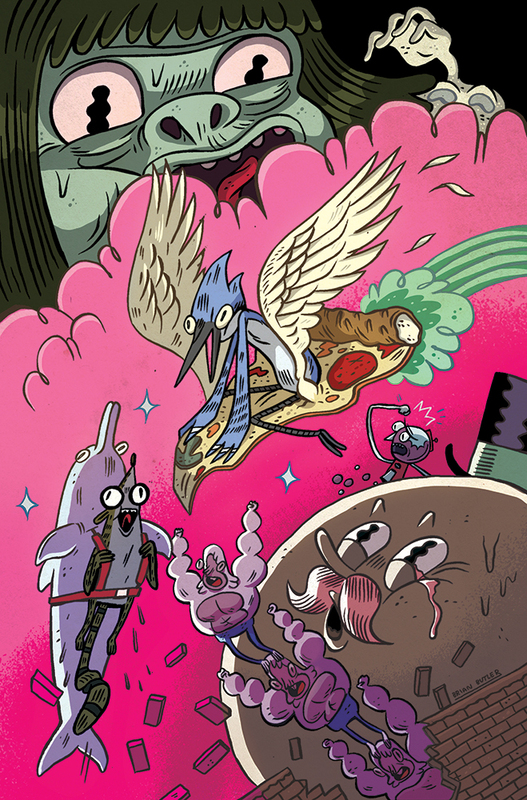 I was invited to make an alternate cover for The Regular Show comic issue 2. I gave them a few options, and they chose the version where “everyone is probably on drugs”. Which was awesome, as it was the most fun to draw. I was just looking for a picture of the cover, for this post, and I discovered that it’s already being sold on ebay for twice the cover price! A small fortune! 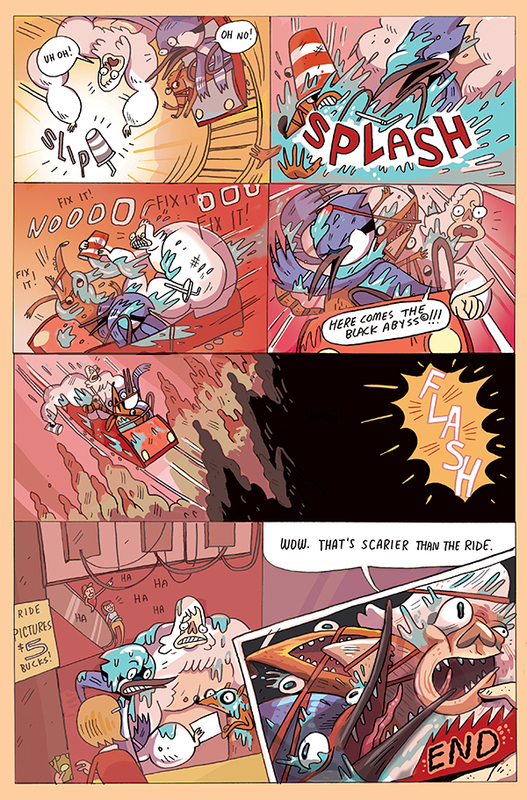 I asked my new pals at KaBOOM if I could also make a short comic. 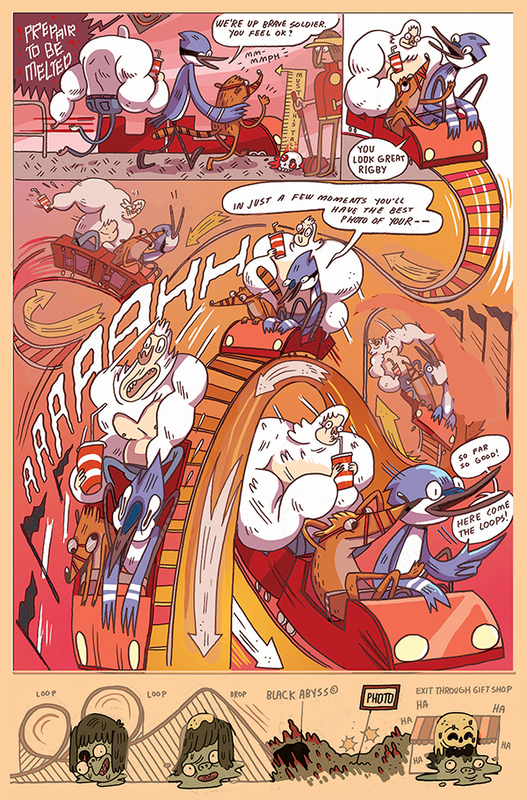 I submitted a few ideas, and got approval to move forward on the one about Rigby’s tension with rollercoasters entitled “Thrill Baby”. 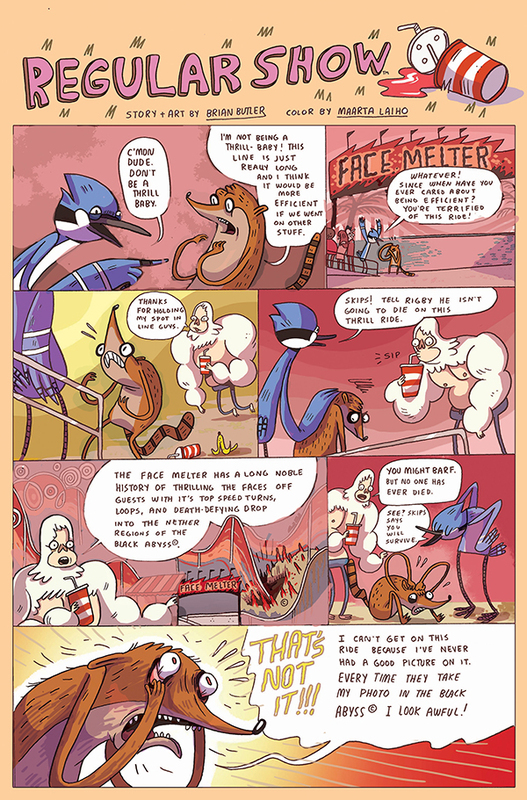 It ended up in the first issue, and in a bunch of comic convention promo issues. Which rules. 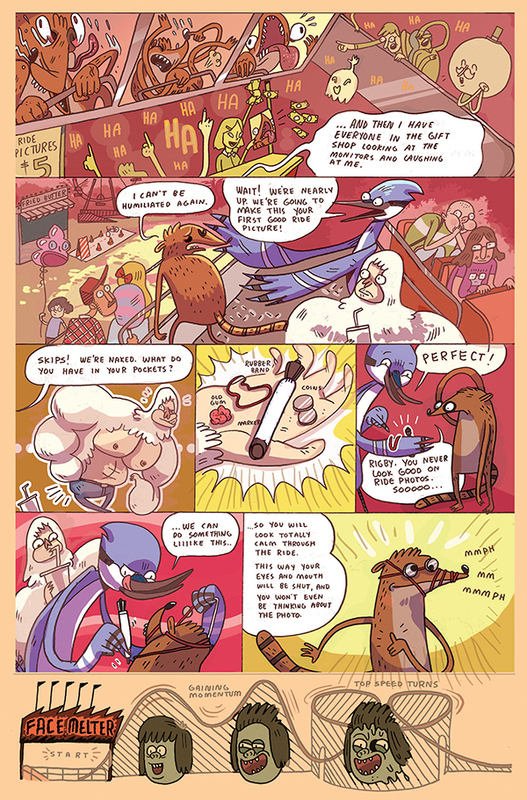 I wrote and drew it, and Maarta Laiho handled color. Thanks guys! Look out for a story I wrote alongside Aaron Zimroth in a later issue!